Vector Concepts is proud to be a member of the Starnet® Worldwide Commercial Flooring Partnership, the leading group of Commercial Flooring Contractors. Starnet®, with over 160 member firms at 307 locations, represents the largest professional group of independent commercial floor covering contractors throughout North America. Vector Concepts is an independently owned floor covering company based in Irving, Texas. We are committed to providing the best service and finest products to our clients at a fair price. To this end we have employed the best support staff in the industry. The men and women that make up the Vector team all work together to provide informed product selection assistance, excellent project management, and unparalleled installation services to every one of their clients. We believe this teamwork is the key to successfully completing every flooring project, no matter how simple or complex it may be. At Vector Concepts, we pride ourselves on our outstanding team. At the helm of Vector Concepts are the owners Tim Watkins and Jody Skaggs, Vice President of Sales, Bill Austin, and Director of Operations, Billy Dotson. With over 125 years of experience between them, they provide leadership to a professional and talented team and take an active role in the day to day operations of the company. 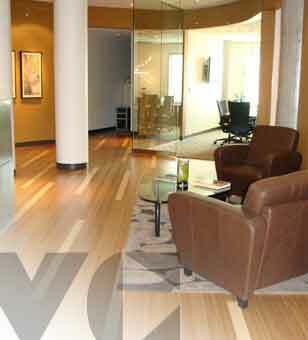 Vector Concepts strives to be the driving force in the Sports and Commercial Flooring industry. Our focus on teamwork and technology enables efficiency, accuracy, and effectiveness. We know that long term customer relationships are built through honesty and integrity and we believe this ethical code is our competitive advantage and our corporate responsibility.